A sweet and adorable snowman holiday card to share some warmth during the festive season. 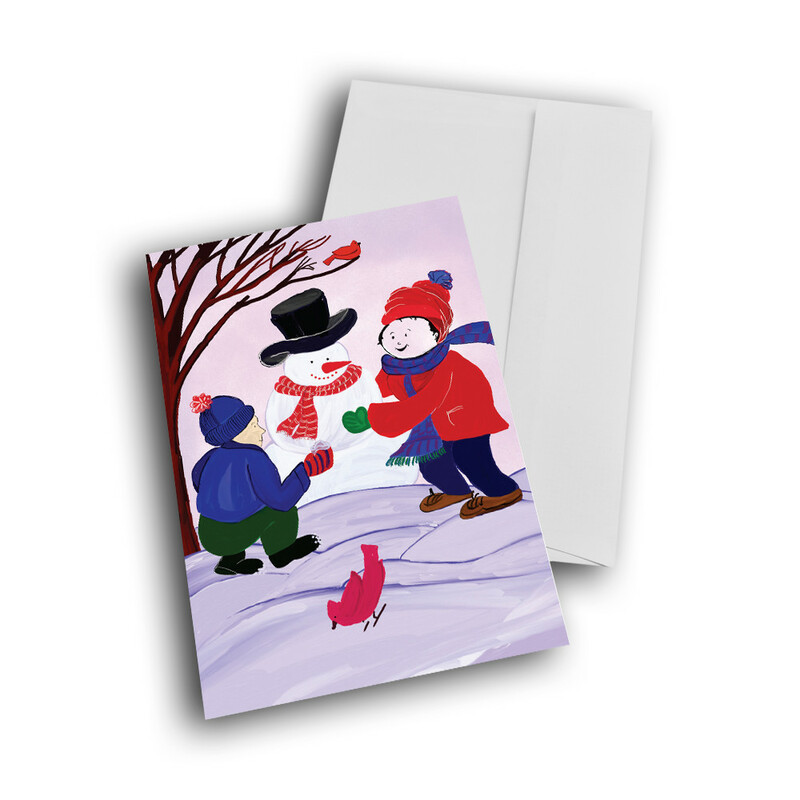 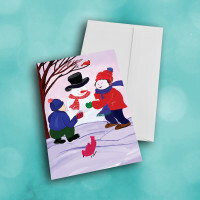 This snowman holiday card is sure to bring a smile to those who recieve it. 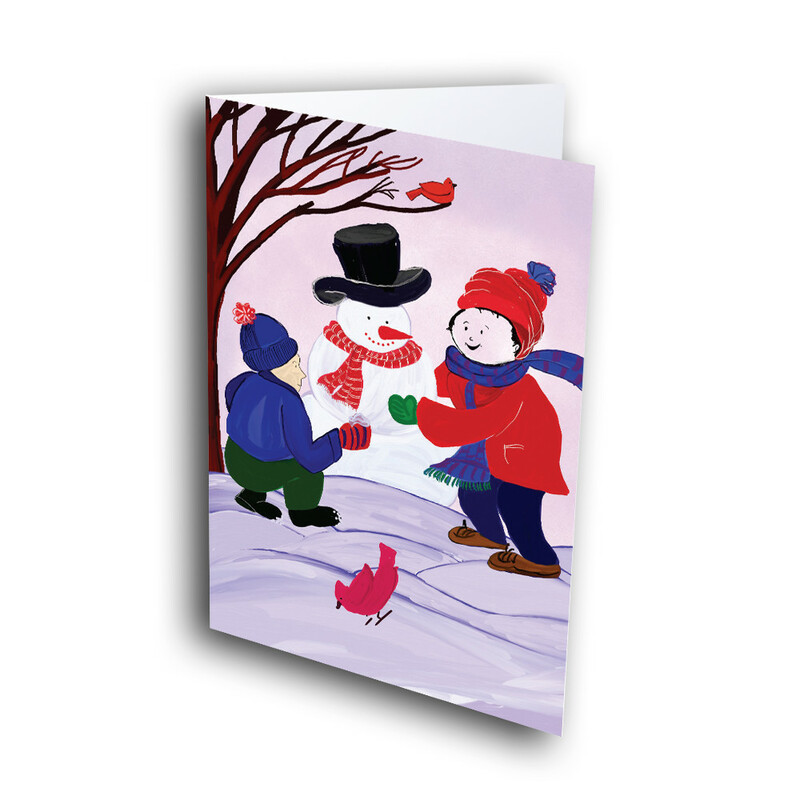 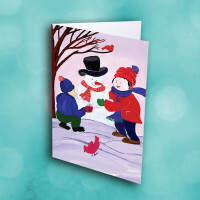 The cozy scene on the front features two kids making an adorable snowman together, as little birds play in the snow around them. 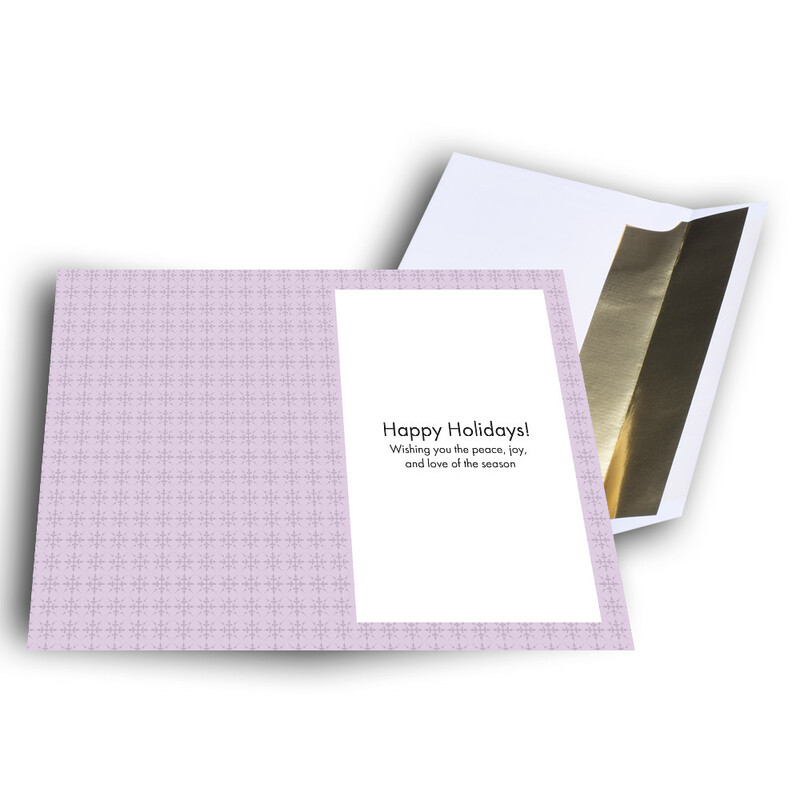 The inside is a pale-purple, adorned with a detailed pattern and a classic message. 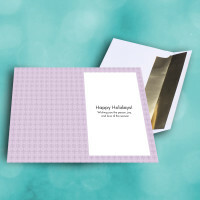 Make this a personalized holiday card by adding your own custom message.